VOTE: Can Ariana Grande Knock Adele Off This Sunday's Top Spot? Adele scored the No.1 spot just DAYS after the release of 'Hello' however this is where the hard work starts for the singing superstar. She came, she saw, she conquered. Adele's 'Hello' was able to fight off tough competition from Justin Bieber's 'Sorry' last Sunday to knock Tinie Tempah's 'Turn The Music Louder' off the top after just one week. However it's now time for the title to be defended. FUN FACT: Greg Kurstin, the co-writer of Adele's 'Hello' also helped produce and write Sia's critically acclaimed album '1000 Forms Of Fear'. Why should it get your vote: Come on...Adele's the QUEEN of music right now. 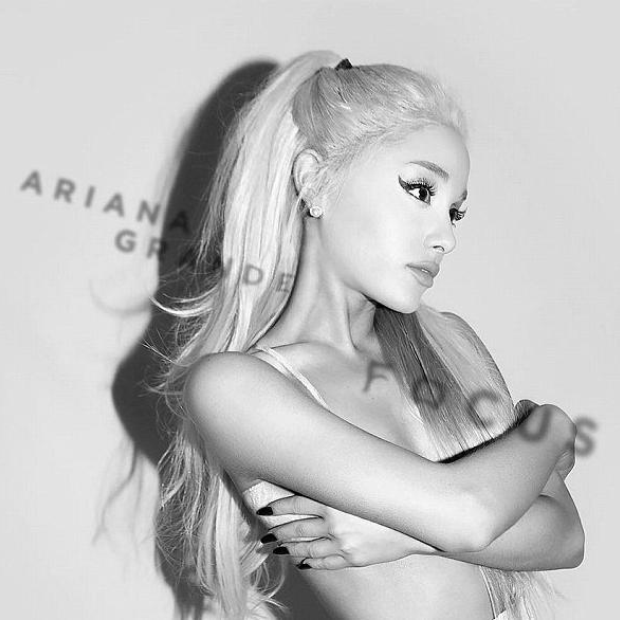 FUN FACT: After Ariana posted a photo of the 'Focus' artwork including a photoshopped Draco Malfoy, actor Tom Felton (Draco) offered to be in one of her music videos, to which Ari replied '1000000% yes!'. Why should it get your vote: Ariana has already had two No.1 singles ('Problem' & 'Bang Bang') and you can help her bag her third in two years. FUN FACT: The choreographer behind Justin Bieber's 'Sorry' music video is 23 year old New Zealander Parris Goebel who danced on Nicki Minaj's 'Pinkprint Tour'. Why should it get your vote: Justin's new journey into a more dance orientated genre is highlighting exactly what the Canadian singer can do. FUN FACT: Sam had to edit the song a little after conversations with the producer and director of 'Spectre' to better reflect the stronger attributes of James Bond's character. Sam revealed 'because lyrically i'm quite a vulnerable writer, I am quite an emotional writer and James Bond is quite a strong character." Why should it get your vote: The song is played over one of the most visually stunning James Bond movie intros in a long LONG time.